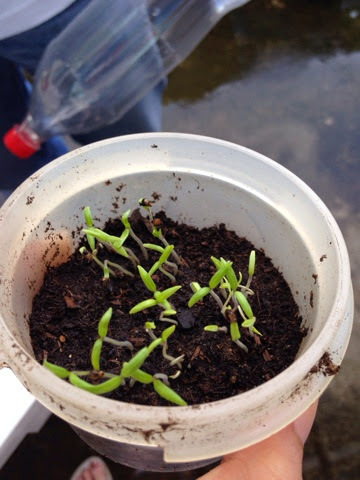 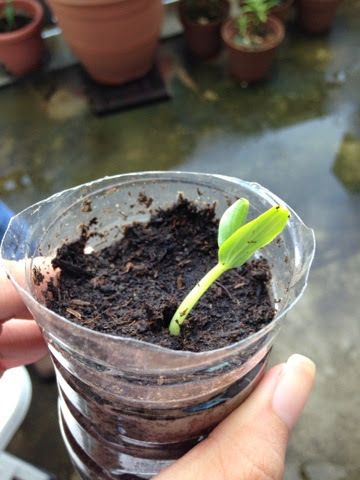 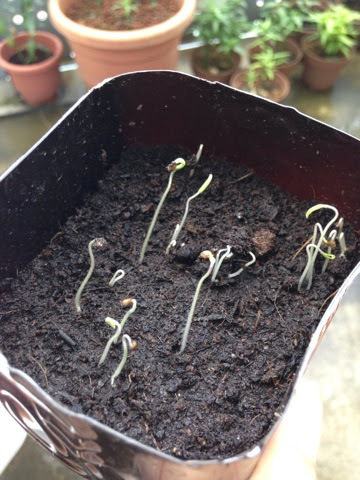 We also planted some cucumber plants using the seeds that we bought from a local garden. 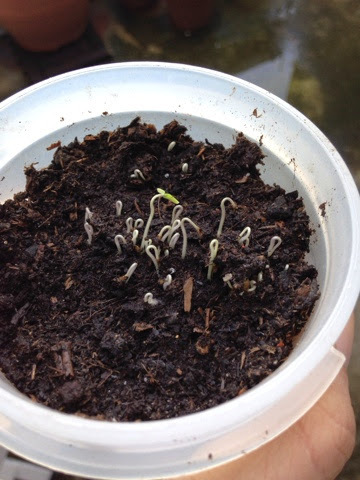 I'm so excited for them to grow bigger! 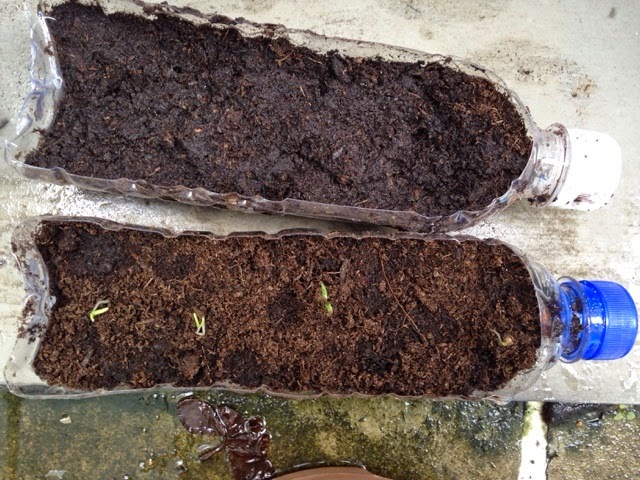 I've just moved them into a plastic bottle that my dad cut so it's like a tray.. 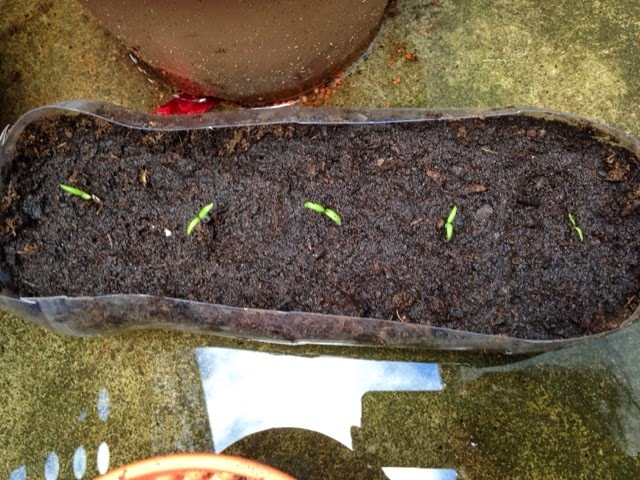 I'm also growing some bell peppers..